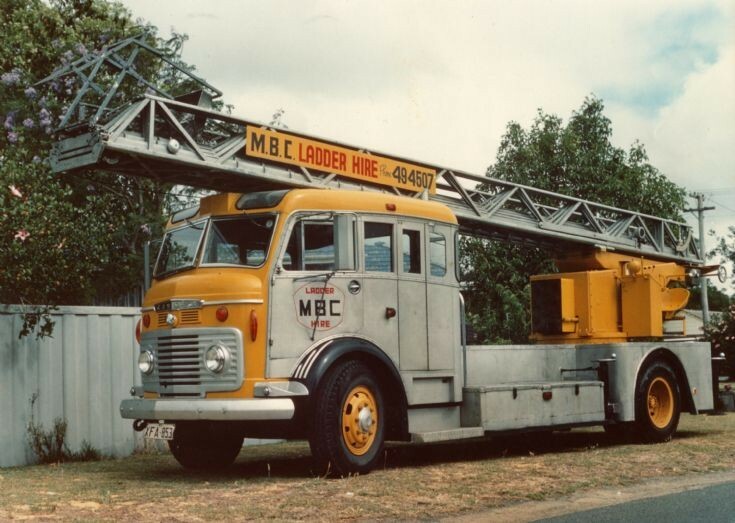 Fire Engines Photos - Commer Magirus DL30H 1959 T.L. Commer Magirus DL30H 1959 T.L. Commer Magirus DL30H 1959 T.L. Original registration 5222 AC. Photograph taken in l984. Shipped to Perth, Australia, in 1974. Original equipment is in storage. It has not been in service for many years. The bodywork now needs renovation and the ladders need to be replaced. Does anybody know the whereabouts of a suitable ladder set? This Commer 86A/Haydon-Magirus DL30H Turntable Ladder was ex-Warwick County Fire Brigade and served at Warwick Street, Leamington Spa until 1967, then Corporation Street, Rugby till 1972. Added by Pete Matten on 10 September 2010. Geoff, I would imagine this TL never saw service with the Brigade in Perth but used by a private company as indicated on the signage? Added by Pavel on 10 September 2010. I have just bought the last known surviving one of these appliances in the UK, 113 LKE ex Gravesend, Kent. Will post pics on here soon. Added by Simon on 20 February 2011.